Today I learned all about what I can do to save he planet. 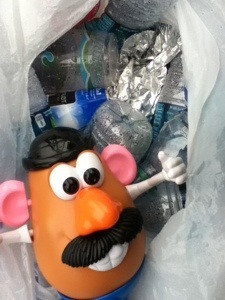 I was throwing a plastic bottle into the trash when Ohiophotogrl stopped me. We should all do this to help save the planet!!!!! This entry was tagged 365, blogging, fun, kid friendly, laugh, Mr. 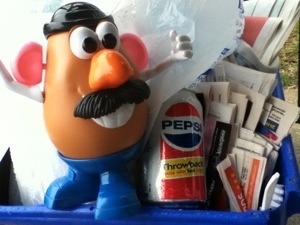 Potato Head, muse, picture a day, recycling. Bookmark the permalink.